We have expanded our ribbon selections to offer several solid colored ribbons that go great with these prints. 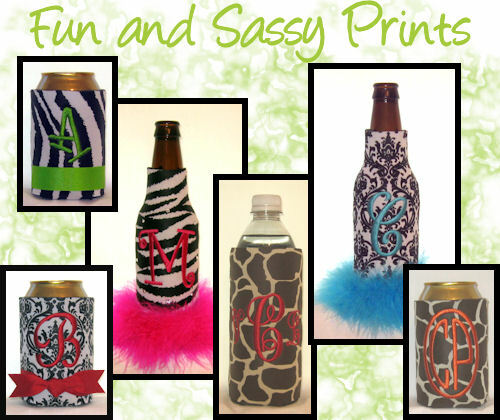 We recommend initials and monograms with the prints since smaller letters can sometimes get lost in the print. 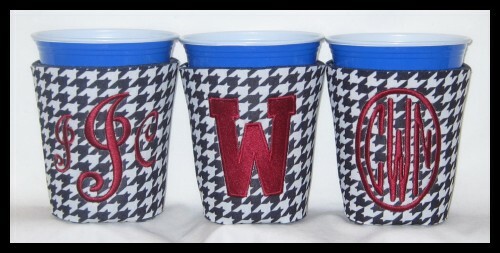 However, if you choose a nice contrasting color, names and short sayings will work fine too. If you want polka dot ribbon instead of plain ribbon, please specify in the "Other Design Preferences" memo box. 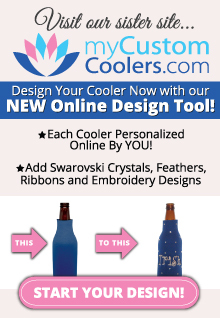 Add swarovski crystals to any of your coolers on our Bling upgrade page.